USA LEGAL , 1989 NISSAN SKYLINE GTR TWIN TURBOS WITH NISMO BRAKES. SERIAL NUMBER : BNR32 - 003242 BODY HAS 103916 KMS , NEW MOTOR INSTALLED WITH 58000KMS ONLY. VERY CLEAN CAR , RUNS GREAT , TURBOS IN GOOD HEALTH. COMPRESSION TEST : 160PSI ALL AROUND ON 6 CYLINDER. CAR IS PRESENTLY IN MONTREAL CANADA , BUYER IS RESPONSIBLE FOR PICK UP OF THE ITEM FROM MONTREAL , WE DO NOT SHIP THE CAR TO USA OR ANYWHERE ELSE. GOODIES ON CAR. MINES CLUSTER 320KM/H 103916KMS MOMO STEERING WHEEL AFTER MARKET DRIVER SEAT NISMO BRAKES SWAY BAR AFTER MARKET / ADJUSTABLE CAMBER OEM WHEELS KTS COILOVERS TRUST CATBACK NISMO OIL CAP AFTER MARKET RADIATOR TRUST FILTER SLOTTED BRAKES AND MORE. Paperwork:We will provide all of the supporting documentation with this sale, including: Canada Customs entry forms stamped by Canadian Customs officials approving the vehicle for entry into the Canada , EPA exemption forms and the original Export Certificate from Japan. *It is the buyers responsibility to research the laws regarding registration of a direct import vehicle in their home state. Please contact us if you have any questions regarding direct import vehicle registration. If you have any questions please feel free to give us a callChris txt or call : 1-514-566-3375. 2005 Nissan Altima 2005 NISSAN ALTIMA SE-R,FULLY LOADED !! 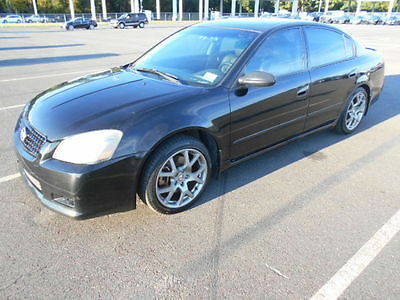 2005 NISSAN ALTIMA SE-R,V6,READY TO GO, ALL POWER, RARE FIND! B/O BUYS!! This vehicle is a beast, and will be missed. I've used Mobil 1 synthetic oil since the car had 49k miles on it, and have kept up the maintenance since. The car has 188k miles, but the transmission only has about 96k on it, and shifts flawlessly. Also, I have kept up the transmission fluid changes on the new transmission. The 188k is mostly highway miles. Not stop and go. The Altima has been garage kept for the last 5 years. I have had the bumper, hood, roof, rear quarters, and trunk painted. The windshield and the windows have no defects. Though, please note, the car does have 188k. There will be slight imperfections (rock chips, etc) here and there. There is no rust. There is a slight coolant leak on the passenger side, which I suspect is the hose leading up to the thermostat. Easy fix. The only problem is that I do not have time these days. The car has a silky smooth idle and accelerates with ease. I have lightweight Konig Airstrike rims on. The tires have plenty of miles left on them (see pic). There is a new battery in the car, and will be putting on new rear brakes before sell. The front brakes only have about 8k on them. The tires need balancing. Again an easy and cheap thing to do. The interior is in superb condition. I have kept up care of the interior the entire time I have had this car (since 2008). Everything inside works, to include the 6 disk CD changer. I have also added an interior footwell lighting kit to make the inside look more upscale at night. The car has a BOSE sound system that sounds as good as the day it was bought. I have the following modifications of the car: UTEC Engine Management (The tuning cable is in an easy to access location; the current tune has added 15 hp and 21 lbs of torque), a cold air Nismo Intake (the pic is with the cold air extension off; I took it off for the winter), free flowing Racingline catalytic converters, Racingline free flowing Y-Pipe, Racingline ground wire kit (red), Racingline lowering springs, Racingline traction bars, NWP block off plate for better high-end power, NWP intake and throttle body spacer kit for better airflow, a Racingline strut bar, and a custom grille. I also have a switch that cuts the UTEC on and off (one setting for street, the other for race). Overall, these mods all put together have added approximately 62-65 hp and about 80 lbs of torque. The best 1/4 mile for the car was 13.8 @ 100.94 mph at Maryland International Raceway. The car has one championship under its belt. Won first place in the fast bracket class at Import FaceOff at Capitol Raceway in 2011. The last race for the car was in 2012. It has been a daily commuter only since then. I will also add: the stock suspension, a intake water bypass valve, a craftsman creeper (pretty new), a plastidip kit, and a motorcycle helmet to the deal. The one thing that I will miss terribly about this car is when I start it. Everyone around will know you mean business once they here this car start. I'll also miss the car's cornering, as I have really never loss grip. I will accept any reasonable offer. Please deposit $300 in my PayPal account within 3 days after winning the car. Delivery will be done once the car is paid in full (If by cashier's check, when the check is OK'd by the bank that day). I will ship the car, but please understand that it will take me about a week to get that done. Also, if I ship, I need the payment in full right away. Good luck. You will not be disappointed! 2005 Nissan Altima 2005 NISSAN ALTIMA SE-R,FULLY LOADED !! 2005 NISSAN ALTIMA SE-R,V6,RACE AND ROAD READY, ALL POWER, RARE FIND! B/O BUYS!! This vehicle is a beast, and will be missed. I've used Mobil 1 synthetic oil since the car had 49k miles on it, and have kept up the maintenance since. The car has 188k miles, but the transmission only has about 96k on it, and shifts flawlessly. Also, I have kept up the transmission fluid changes on the new transmission. This car was driven normally (no racing) after the transmission change. The 188k is mostly highway miles. Not stop and go. The Altima has been garage kept for the last 5 years. I have had the bumper, hood, roof, rear quarters, and trunk painted. The windshield and the windows have no defects. Though, please note, the car does have 188k. There will be slight imperfections (rock chips, etc) here and there. There is no rust. There is a slight coolant leak on the passenger side, which I suspect is the hose leading up to the thermostat. Easy fix. The only problem is that I do not have time these days. The car has a silky smooth idle and accelerates with ease. I have lightweight Konig Airstrike rims on. The tires have plenty of miles left on them (see pic). There is a new battery in the car, and will be putting on new rear brakes before sell. The front brakes only have about 8k on them. The tires need balancing. Again an easy and cheap thing to do. The interior is in superb condition. I have kept up care of the interior the entire time I have had this car (since 2008). Everything inside works, to include the 6 disk CD changer. I have also added an interior footwell lighting kit to make the inside look more upscale at night. The car has a BOSE sound system that sounds as good as the day it was bought. I have the following modifications of the car: UTEC Engine Management (The tuning cable is in an easy to access location; the current tune has added 15 hp and 21 lbs of torque), a cold air Nismo Intake (the pic is with the cold air extension off; I took it off for the winter), free flowing Racingline catalytic converters, Racingline free flowing Y-Pipe, Racingline ground wire kit (red), Racingline lowering springs, Racingline traction bars, NWP block off plate for better high-end power, NWP intake and throttle body spacer kit for better airflow, a Racingline strut bar, and a custom grille. I also have a switch that cuts the UTEC on and off (one setting for street, the other for race). Overall, these mods all put together have added approximately 62-65 hp and about 80 lbs of torque. The best 1/4 mile for the car was 13.8 @ 100.94 mph at Maryland International Raceway. The car has one championship under its belt. Won first place in the fast bracket class at Import FaceOff at Capitol Raceway in 2011. I will also add: the stock suspension, a intake water bypass valve, a craftsman creeper (pretty new), a plastidip kit, and a motorcycle helmet ( used when I was racing). The one thing that I will miss terribly about this car is when I start it. Everyone around will know you mean business once they here this car start. I'll also miss the car's cornering, as I have really never loss grip. I will accept any reasonable offer. Please deposit $300 in my PayPal account within 3 days after winning the car. Delivery will be done once the car is paid in full (If by cashier's check, when the check is OK'd by the bank that day). I will ship the car, but please understand that it will take me about a week to get that done. Also, if I ship, I need the payment in full right away. Good luck. You will not be disappointed! 2005 Nissan Altima 2005 NISSAN ALTIMA SE-R,FULLY LOADED !! 2005 NISSAN ALTIMA SE-R,V6,MOONROOF,LEATHER,6SPD,ALL POWER,RARE FIND! B/O BUYS!! 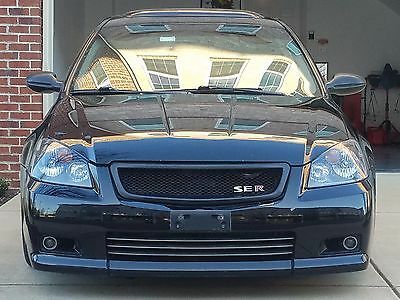 2005 NISSAN ALTIMA SE-R SPORT SEDAN ALL POWER, READY FOR THE ROAD,VERY NICE !! A WELL KEPT BEAUTY BY THE PREVIOUS OWNER !! / CLEAN CAR FAX !! FIRST REASONABLE OFFER BUYS A GREAT VEHICLE !! 6-SPEED MANUAL TRANSMISSION 3.5 LITER V6 ENGINE P/S P/B A/C CRUISE CONTROL TILT WHEEL DELAY WIPERS POWER DRIVER'S SEAT LUMBAR SUPPORT P/WINDOWS POWER LOCKS POWER MIRRORS DUAL AIRBAGS ANTILOCK BRAKES CD PLAYERLEATHER INTERIORMOONROOF18" WHEELS FACTORY SUN SCREEN GLASS ALLOY WHEELS FULL POWER "SE-R TRIM PACKAGE" SHOWS NICE !! ------------------------------------------------------------------------------------------------------------------------------- 18" ALLOY WHEELS WITH HIGH RUBBER TIRES (85%)......... THIS VEHICLE IS NICE & CLEAN IN & OUT,THE SEATS ARE CLEAN AS IS THE HEAD LINER & CARPET--NICE INTERIOR THROUGH OUT. ALL LIGHTS WORK FINE & NO KNOBS OR BUTTONS MISSING. ITS ALL HERE !! ----------------------------------------------------------------------------------------------- NO SLOBBER ON THE SEATS NO SODAS SPILLED ON THE FLOORS !! NO PETS NO ODORS NO SMOKING NO KIDDING !! THE OUTSIDE IS SHINY & CLEAN & SHOWS NICE. BODY IS STRAIGHT.... GOOD BRAKES ALL AROUND TUNE-UP IS FINE... GOOD TREAD RUBBER ALL AROUND _____________________________ THIS IS A NICE ONE ,YOU WONT BE LET DOWN GREAT COLOR COMBO _____________________________ THE ENGINE IS STRONG WITH PLENTY OF POWER & NO NOISES,THE TRANSMISSION SHIFTS SMOOTHLY !! THIS VEHICLE RUNS VERY SMOOTH & IS VERY RESPONSIVE-----A PLEASURE TO DRIVE !! THE STEREO / CD SYSTEM IS FINE..... _____________________________ NICE APPEARANCE IN & OUT ____________________________________________________________________________ If you have any questions please call me Steve @ 732.809.8791 _________________________________ THANKS FOR LOOKING & GOOD LUCK !!! LOW RESERVE / BUY IT NOW PRICE !! LISTED TO BE SOLD YOU CAN BID WITH CONFIDENCE / IT'S A REAL ONE !!! SORRY NO INTERNATIONAL BIDDERS U.S. & CANADIAN E-BAY MEMBERS ONLY I KNOW YOU WILL LIKE THIS VEHICLE /IT'S A NICE ONE. THANKS FOR LOOKING & GOOD LUCK BIDDING !! _________________________________ SHIPPING ITEM LOCATION : FREEHOLD, NJ 07728 FOR GREAT / RELIABLE SHIPPING QUOTES PLEASE DO A GOOGLE SEARCH UNDER "AUTO SHIPPERS" or PLEASE CONTACT ME & I WILL PERSONALLY ASSIST YOU Steve 732.809.8791 ____________________________________________________________________________________ RESERVE PRICE POLICY Please understand as this is an auction, asking us for our reserve price is like us asking you for your highest dollar figure. We consider the buy it now price the asking price.Please check out the item thoroughly to your satisfaction & place your maximum bid accordingly. If you have a reasonable offer in mind that you would like to present then please send us an e-mail with it & we will gladly take it into consideration. Thank you !! FIRST REASONABLE OFFER BUYS A GREAT VEHICLE !! _______________________________________________________________ PROXY BIDDING We get numerous emails after every auction from disappointed bidders saying they lost out at the last second. We highly recommend using Proxy Bidding to ensure this doesn't happen.Here is how proxy bidding works. Enter the maximum you're willing to spend and let eBay bid for you. Also, if you haven't been verified by eBay with a credit card, you might not be able to bid higher than $15,000. If you're planning to bid, make sure this is taken care of so you don't have problems at the last minute..... Don't wait until the last seconds or you may miss your opportunity to own a great car !! Enter the maximum you're willing to spend and let eBay bid for you. please use proxy bidding & dont lose out !! ______________________________________________________________ VEHICLE CONDITION This vehicle runs and drives well, and is in great condition, but as with any used vehicle, minor wear may appear under close scrutiny, this includes small sand or rock chips and (or) minor surface scratches. I endeavor to deliver accurate descriptions, but please note, this is a pre-owned vehicle which as nice as it may be, is not new. You can expect normal "wear and tear" for the age and mileage. I am committed to selling quality vehicles and want to make sure my customers are satisfied with their purchases. I will do my best to describe any flaws or defects in my listings. Please call or email any concerns before bidding It is recommended to have pre-owned vehicles inspected by a third party prior to purchase. MOTIVATED BUYER = MOTIVATED SELLER !! ALL WORKS AS IT SHOULD AND IS IN VERY NICE CONDITIONSMALL SECTION OF THE HOOD IS SLIGHTLY OXIDIZED / CAN BE BUFFED OUTNEEDS A POWER STEERING HOSE / HAS A SMALL LEAKBRAND NEW BATTERY AND ALTERNATOR JUST INSTALLED ! Thank You. _____________________________________________________________ TERMS OF SALE Bidding Information: By placing a bid on this vehicle you are entering into a legal and binding contract to purchase the above-described vehicle. We reserve the right to cancel all existing bids and end the auction early should the item no longer be available for sale Payment Information: A deposit of $300.00 (non-refundable) must be paid within 24 hours of the close of the auction. The remaining balance must be paid within 3 days, by any other method except paypal. Fee and Tax Information: We charge NO Extra fees for documentation or vehicle preparation. The final accepted bid price is the final selling price. Buyer is responsible for sales taxes and license fees in his/her HOME state. Reserve Price Policy: We do not discuss reserve prices-- Please understand as this is an auction, asking us for our reserve price is like us asking you for your highest dollar figure.Please check out the item throughly to your satisfaction & place your maximum bid accordingly.If you have a reasonable offer in mind that you would like to present then please send us an e-mail with it & we will gladly take it into consideration. Thank you !! A $300.00 DEPOSIT ( NON-REFUNDABLE ) IS DUE WITHIN 24 HOURS OF SALE END. PLEASE USE PAYPAL TO SEND A DEPOSIT TO SECURE THE VEHICLE. WE CAN MAKE ALL PICK-UP ARRANGEMENTS FROM THERE.. BALANCE DUE AT PICK UP WITHIN 3 DAYS OF SALE END. THANK-YOU & GOOD LUCK !! !Top of Form 1 Bottom of Form 1 ___________________________________________________________________________________ DISCLOSURE STATEMENT PLEASE READ THIS CAREFULLY: The seller shall be responsible for the correct description, authenticity and genuineness, and makes no warranty in connection therewith. No allowance or set aside will be made on account of any incorrectness, imperfection, defect or damage. Any descriptions or representations are for identification purposes only and are not to be construed as a warranty of any type. It is the responsibility of the buyer to have thoroughly inspected the product being offered and to have satisfied himself or herself as to the condition and value and to bid based upon that judgment solely. The seller shall and will make every reasonable effort to disclose any known defects associated with this vehicle at the buyer's request prior to the close of sale. Seller assumes no responsibility for any repairs regardless of any oral statements about the vehicle & will, make every reasonable effort to complete this transaction in it's fullest.. I have done my best to photograph this item and accurately describe it. I encourage you to ask questions or inspect this item for yourself. You may also want to contract for a 3rd party independent inspection of this item. The title is clear. This is not a salvage or rebuilt,car or title. I am ready to finalize this sale as soon as the auction ends. All purchase papers will be provided at time of pick and vehicle title is over nighted to buyer by next day air, as soon as funds for vehicle are received, this is guaranteed and standard practice. All inspections, test drives and questions should be completed prior to placing a bid. Winning bidder must contact us within 24 hours of auction end, and make arrangements for final payment and pick up at that time. A $300.00 deposit (non-refundable) is due within 24 hours of end of auction. The remainder is due within 5 days of Auction end using any other method except Paypal. 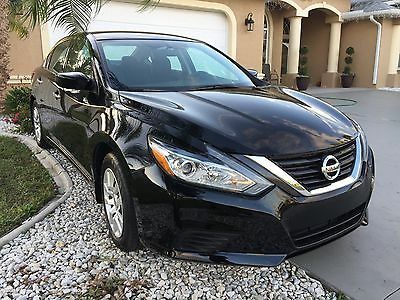 We can accept paypal for initial deposit of $300.00 to secure your car as a down payment, however final payment will be in the form of certified funds such as a bank check, money order ,wire transfer or cash. If no contact is made within 24 hours we reserve the right to re-list the vehicle, sell it to the next high bidder, or sell it otherwise. Most banks and credit unions do not finance vehicles older than the year 2000 or with more than 150K miles. 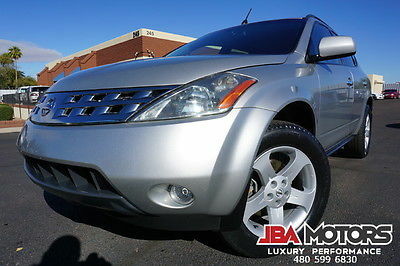 Make sure if financing, your financial institution accepts the year and miles of this vehicle before bidding. Please arrange financing prior to bidding. Unless of course you are going to pay by personal funds... Buyer is responsible for pickup or shipping of this vehicle,& we can help assist you to expedite.If you wish to have it shipped using a service, we will gladly cooperate, you can locate shippers by doing an internet search under `auto shippers`. If you are not sure about something, Please ASK. Do not assume anything not listed is included. We reserve the right to cancel bids for excessive negative feedback. We reserve the right to end this auction early and sell this vehicle at any time if reserve has not been met, or the auction has not ended. AS NICE OF A CAR AS THIS MAY BE, IT IS STILL A "USED CAR". PLEASE UNDERSTAND THIS BEFORE BIDDING AND PLEASE EXPECT TO RECEIVE A "USED CAR". NOT A NEW ONE. WITH EVERY USED CAR, YOU MAY FIND SOME FAULTS CONSISTENT WITH ITS AGE AND USAGE. IF YOU ARE SOMEONE THAT WANTS TO SAVE A LOT OF MONEY ON A GOOD CAR AND UNDERSTAND THAT TO DO SO, YOU MAY HAVE TO PUT A SMALL PORTION OF THOSE SAVINGS BACK INTO THE CAR TO MAKE IT PERFECT AS YOUR OWN TASTE DICTATES, THEN YOUR BID IS MORE THAN WELCOME AND APPRECIATED. We strenuously discourage Bid Retractions and any retractions within the last 24 hours will be rejected. Accordingly, "Please Be Sure You Intend To Buy Before Bidding". Additionally, we reserve the right to end this auction early if the car sells locally. A $300.00 non-refundable deposit is due within 24 hours of auctions end. We can accept PAYPAL for the security deposit only. The balance is due within 3 days by cash or certified check. ( NOT-PAYPAL ) unless prior arrangements have been made with the seller. New York State residents add applicable sales tax. Out of state buyers responsible for sales tax to their home state. Remember, You are bidding to Buy and we fully expect the winning bidder to fulfill their Ebay contract, as we do the same. You are not bidding to hold or test drive or inspect the vehicle. You are more than welcome do this before the auction ends. Non Paying Bidders will be subject to legal actions to recover lost monies! Please check your finances and consult with your significant other before bidding !! We can help with shipping arrangements and also invite the buyer to do the same.... If you have any questions about this, please e-mail before bidding. Thanks for looking and Good Luck !!! ___________________________________________________________________________________ngly. 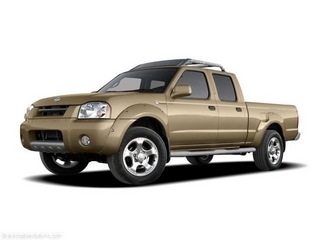 Frontier, , 3.3L V6 SMPI SOHC and 4WD. All the right ingredients! Come to the experts! 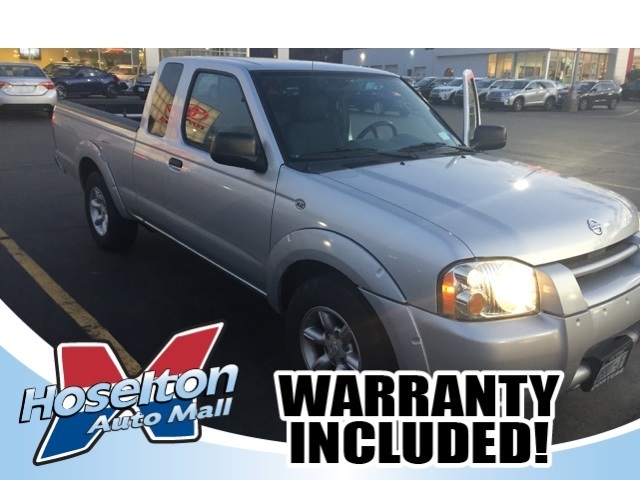 How enticing is the fuel efficiency of this superb-looking 2004 Nissan Frontier? 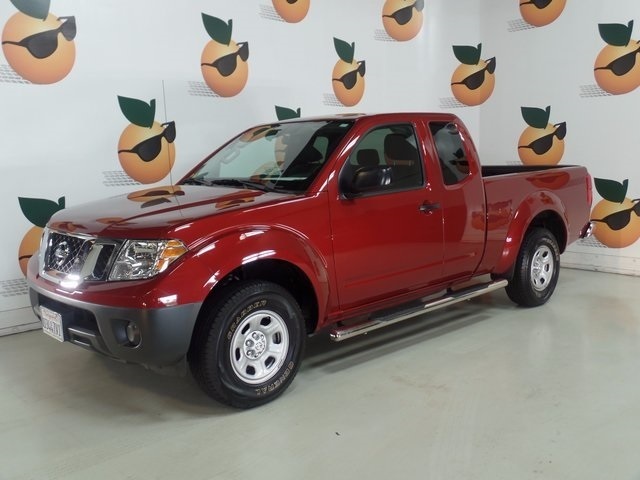 This Frontier has only been gently used and has low, low mileage. They don't come much fresher than this!, 4.64 Rear Axle Ratio,6 Speakers,ABS brakes,AM/FM radio,AM/FM w/CD,Air Conditioning,Alloy wheels,Bumpers: body-color,CD player,Cloth Seat Trim,Driver door bin,Dual front impact airbags,Front Bucket Seats,Front Center Armrest w/Storage,Front Reclining Bucket Seats,Front anti-roll bar,Front reading lights,Front wheel independent suspension,Passenger cancellable airbag,Passenger door bin,Passenger vanity mirror,Power steering,Rear anti-roll bar,Rear step bumper,Rear window defroster,Tachometer,Variably intermittent wipers 3.3L V6 SMPI SOHC and 4WD. All the right ingredients! Come to the experts! 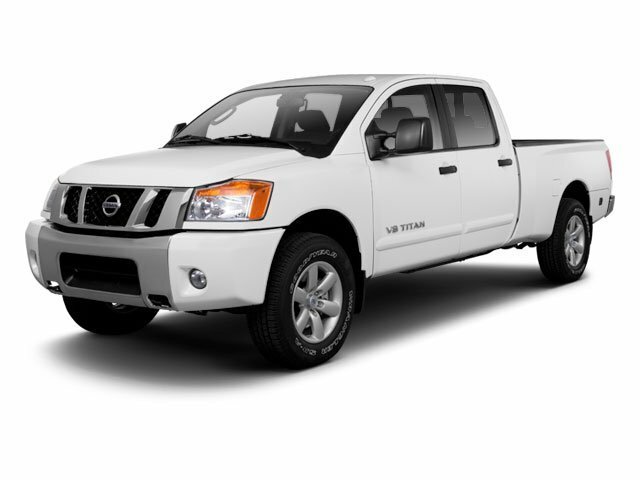 How enticing is the fuel efficiency of this superb-looking 2004 Nissan Frontier? 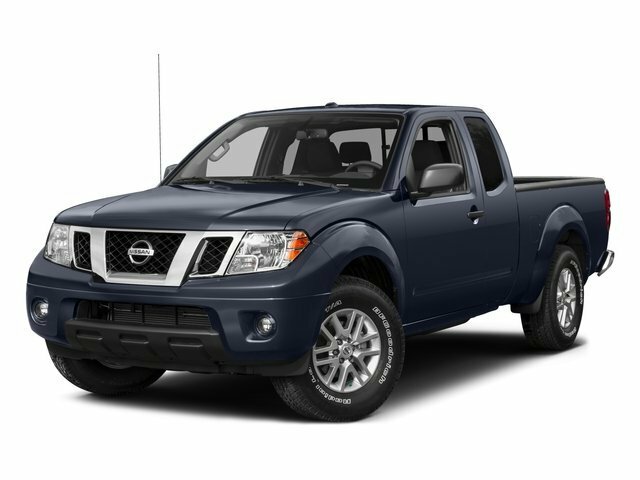 This Frontier has only been gently used and has low, low mileage. They don't come much fresher than this! 2013 NISSAN NV 2500 HD HIGH ROOF CARGO VAN - 4.0, V-6, GAS, AC, AM/FM, CD, TILT, CRUISE, POWER WINDOWS, POWER LOCKS, POWER MIRRORS, DUAL AIRBAGS, CENTER CONSOLE, BULKHEAD, SLIDING SIDE DOOR, NO REAR WINDOWS, HITCH, CLOTH SEATS, VINYL FLOOR, HITCH, STEP BUMPER, GVW - 9100 LBS, WARRANTIES AVAILABLE Specializing in Used Work Vehicles - Cargo Vans, Pickup Trucks, Utility Trucks, Stake Bed Trucks, Dump Trucks, Bucket Trucks, Bucket Vans, Box Trucks and Box Vans. Call us today at 937-832-3964 or 1-877-872-1159 for more information and to verify that the vehicle you are interested in is still available. Prices do not include tax, title, registration and doc. fees. Tim Williams Auto Sales, LTD. is not responsible for pricing errors, misprints or errors on vehicle listings.